Hi guys, hope you all had a wonderful fourth of July. I can’t believe summer is almost halfway over. I haven’t even come close to having my fair share of mojitos, lazy beach days and long bike rides. 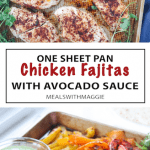 I’ve been eating these one sheet pan chicken fajitas with avocado sauce on repeat for the past couple weeks. 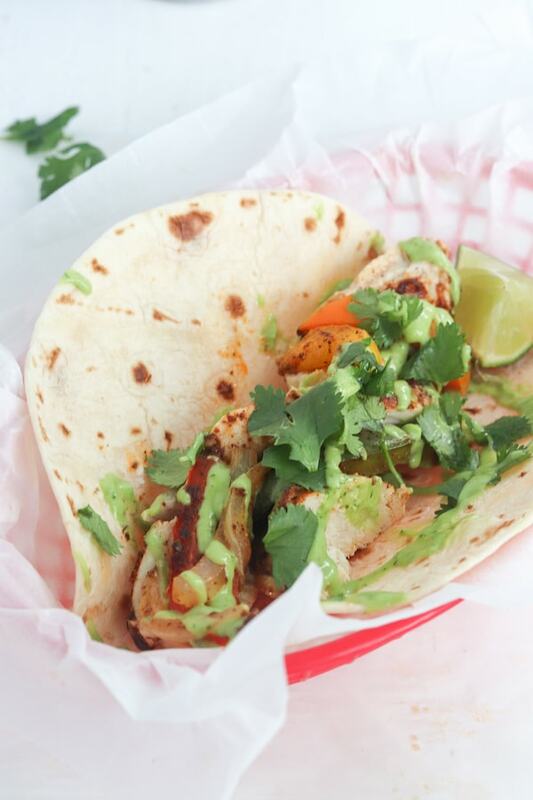 Nothing says hayyy summer like food eaten with your hands, especially foods with AVOCADO SAUCE. The fajita seasoning is also low sodium- heart healthy, people! I’m all for not slaving away in front of the stove during this heat wave! Did I mention this recipe is made in under 30 minutes? 30 minutes! Great, awesome. Sign me up. 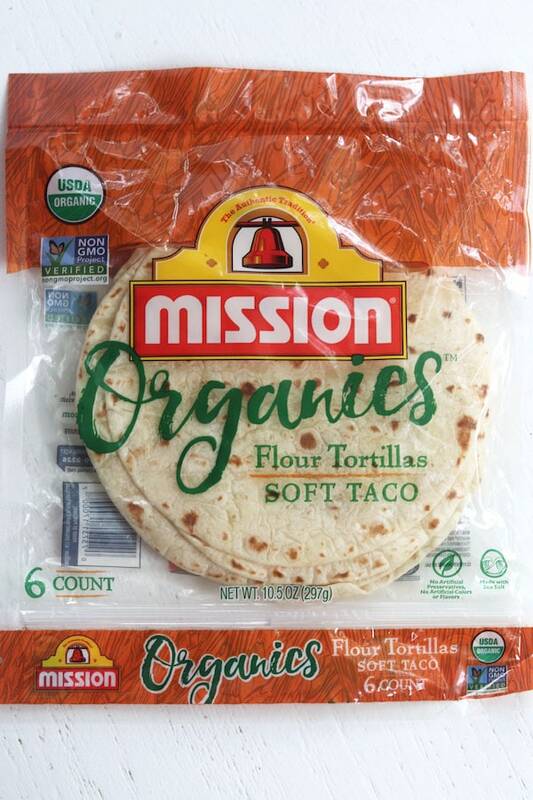 I found these reasonably priced tortillas by Mission Organics. Sean and I always have a debate about corn versus flour. I’m all in on corn, naturally he is all for flour. These tortillas are a good in between and aren’t as expensive as some others. Plus the first ingredient is ORGANIC WHEAT FLOUR! This is important that it isn’t enriched (Enriched means it’s basically more manufactured and stripped from its original wholesome ingredients). This is a good tip for when you are hunting for bread too! 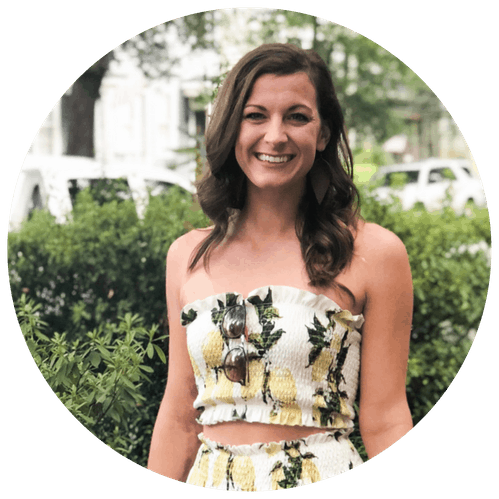 Don't forget to 'pin it' for later and follow Meals with Maggie on Pinterest! 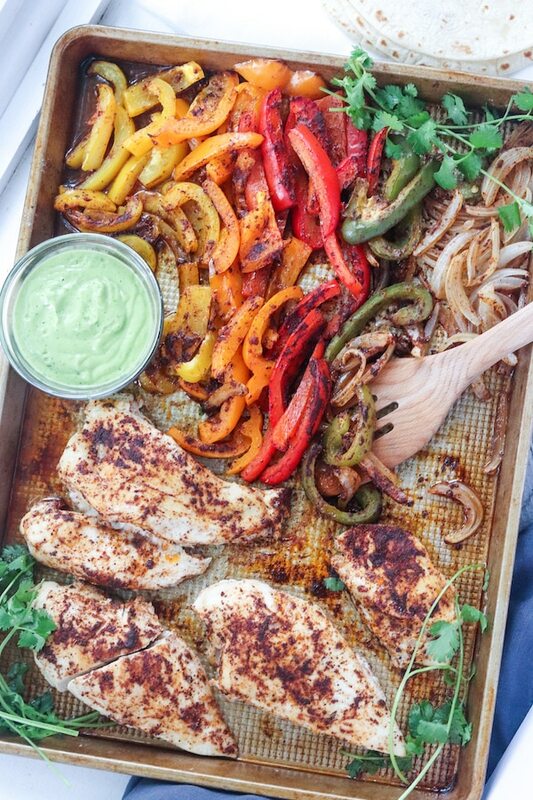 Chop vegetables and place on sheet pan with chicken breasts on one side and vegetables on the other. 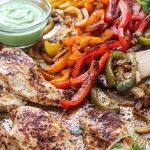 Drizzle vegetables and chicken with avocado oil and sprinkle low sodium fajita seasoning on top. Rub seasoning into chicken and vegetables until coated. Place in oven and cook for 15-20 minutes ( depending on thickness of chicken) or until chicken no longer pink in the middle. While the fajitas are cooking, prepare the avocado sauce by combining the ingredients in a blender. 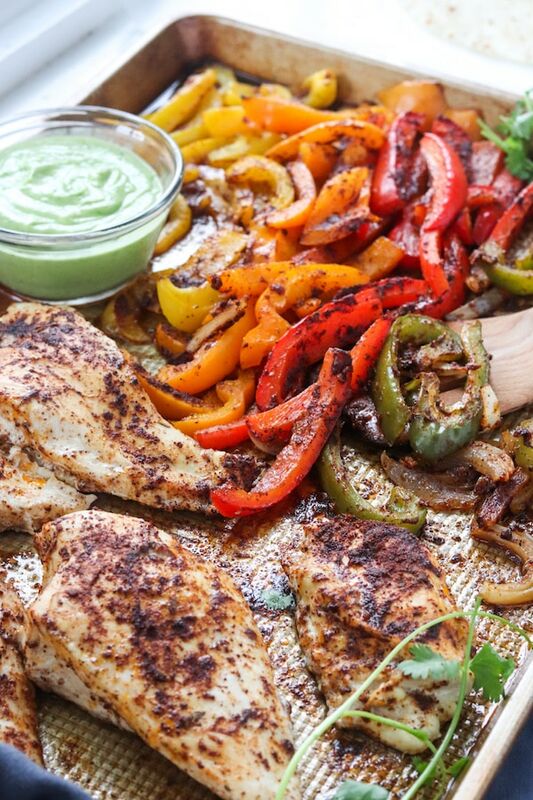 Once fajitas finish cooking, place 3-4 oz of chicken in a tortilla with vegetables, top with avocado sauce and garnish with lime. Avocado sauce will keep in the fridge for up to 2 weeks in an airtight container. 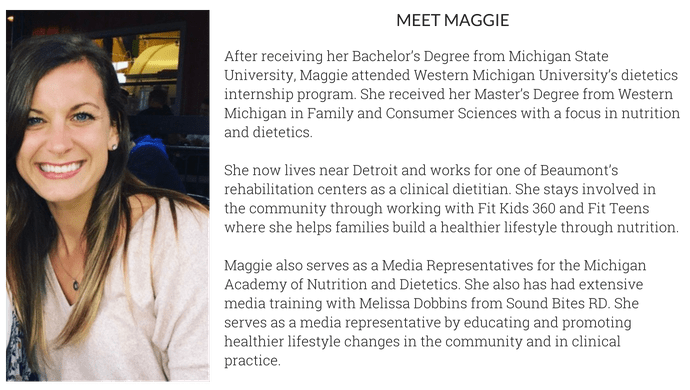 Hi Maggie, I sure was surprised to see this is you!! Your Recipes look amazing! Uncle Jerry and I want to get fit, so I’ll be following you! Thank you Aunt Sheila !